Android tablets are a good way to enjoy movies as they have bigger screens than most smartphones and are cheaper than them as well. While you can enjoy all kinds of movies via streaming services on Android tablets, there’s nothing it can do when it comes it playing DVDs. It you want to watch the movies on DVD on your Android tablet, you are going to need to have the DVD movie converted into a compatible format first. MP4 would be ideal as it’s supported by most of the mobile devices out there without needing third-party video players. 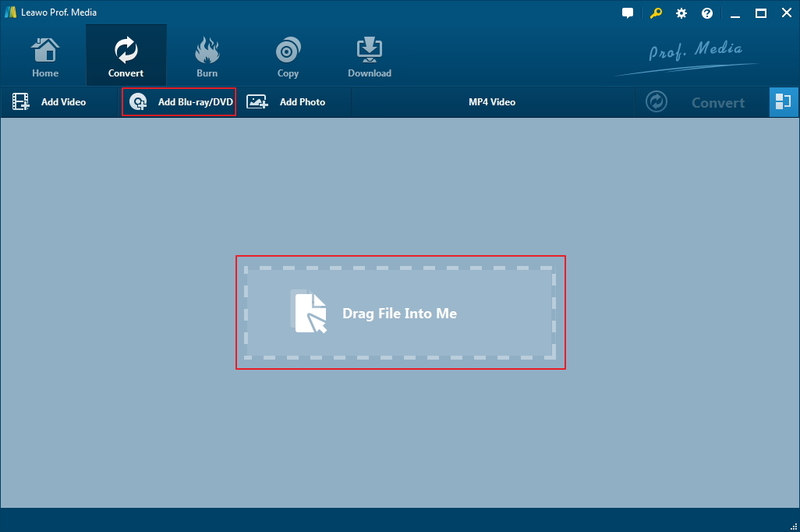 Learn what program you can use to convert DVD to MP4 for Android tablet and how to use them in the content below. As is mentioned previously, MP4 is an ideal choice to convert DVD into to play on Android tablets. One common problem found in converting DVDs to videos is softness of the video image which can make the video unwatchable. To make sure you get a good result, you need a high-quality DVD Ripper. Leawo DVD Ripper would be an ideal choice for you to convert DVD to MP4 for Android tablets. Not only is it capable of converting DVDs of all kind to videos, but it also offers a lot of video formats for you to choose from. The best feature this DVD ripper program offers is ripping DVD to lossless MKV. It’s the highest level of quality you can get from your DVD. Note: In order to help users process their media files more conveniently, several products of Leawo are integrated into one software suite called Leawo Prof.Media and Leawo DVD Copy is one of the products being integrated into it. Step 1. First launch Leawo Prof.Media which contains Leawo DVD Ripper. The shortcut icon of Leawo DVD Ripper could be found right on the main interface of Prof.Media. Click on the DVD Ripper icon as you see it and it will take you to its interface. Or you can click the Convert button in the upper-left corner of the program to open DVD Ripper. Step 2. If the source DVD disc has been placed in your DVD drive, you can then directly import the data in it to the program by clicking Add Blu-ray/DVD>Add from CD-ROM>[dvd title]. Step 3. A commercial DVD usually includes some extra contents in it other than the main movie. Considering that you might not need all the videos, the program offers you with the choice to exclude the ones you don’t need. The following interface will show you all the videos in the disc and you are provided with 3 buttons to select the videos you need. If you choose to use the Full Movie button, the program will rip and convert all the videos in the disc. If you only want the movie itself, click the Main Movie button. And then the program will pick out the video with the longest duration from the video list for you as such video usually the main movie. If it’s not the main movie or all the videos you want, you can use Custom Mode to freely choose whichever videos you need directly from the video list. Click OK when you are done selecting the videos you want to rip and the programs will load the chosen video(s) in a new video list. Step 4. 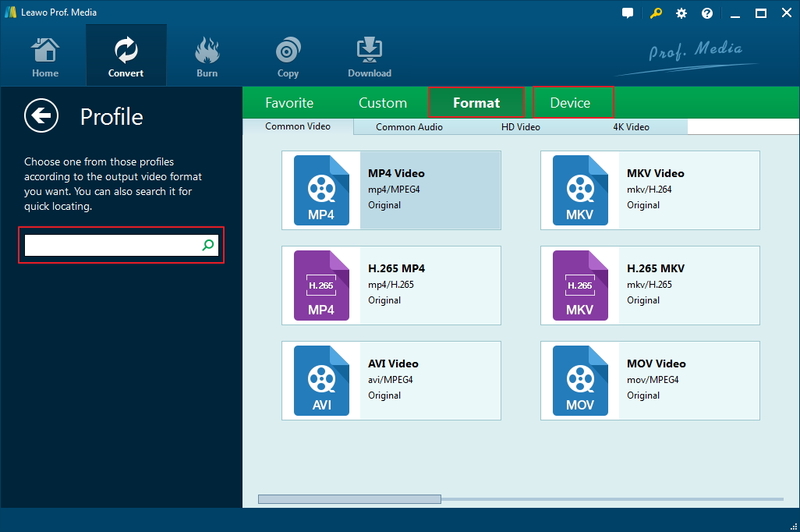 Leawo DVD Ripper offers several different profiles for the MP4 format like regular MP4, HD MP4 and 4K MP4. When you use Leawo DVD Ripper for the first time, the default output format is set to be MP4 and you can change it to another profile if you want. Look for the MP4 Video button on top of the video list. It’s on the left side of a green Convert button. Click on it as you see it to display a new menu and continue to click on the Change button on the menu. It will then take you to the format selecting panel. Choose the MP4 profile you like by directly clicking on it after you find it. You can also choose other profiles or formats like lossless MKV if you want. After choosing a new profile, the MP4 Video label on the button will change to the new profile you just chose. Step 5. Now it’s time to get the conversion process started. Click on the green Convert button that’s mentioned previously to see a new panel. On the panel you can find the default output directory. If you don’t like the default output path offered by the program, click the “…” button next to the path to reset it. And then click the Convert button at the bottom of the panel to start to convert DVD to MP4 for Android tablets. MP4 is an ideal format to rip your DVD collections into as it will enable you to play DVD movies on Apple TV, iPad and other devices you have other than your Android tablets. But you can always go for the lossless MKV format to get yourself the best DVD movie watching experience on Android tablets. Even if the lossless MKV format is not supported by your Android tablet natively, you can also go look for a third-party video player to handle it. As powerful as the Android OS is, it shouldn’t be hard to find a suitable video player app for MKV videos. Another program that you can use to help you convert DVD to MP4 is Handbrake. It’s known to most people as a video encoder but not a DVD ripper program. But actually it’s capable of ripping DVDs to MP4 or MKV. Originally it can only rip unprotected DVDs but all it needs is a library for decrypting DVD protection to rip protected DVDs. And the library is easy to find. 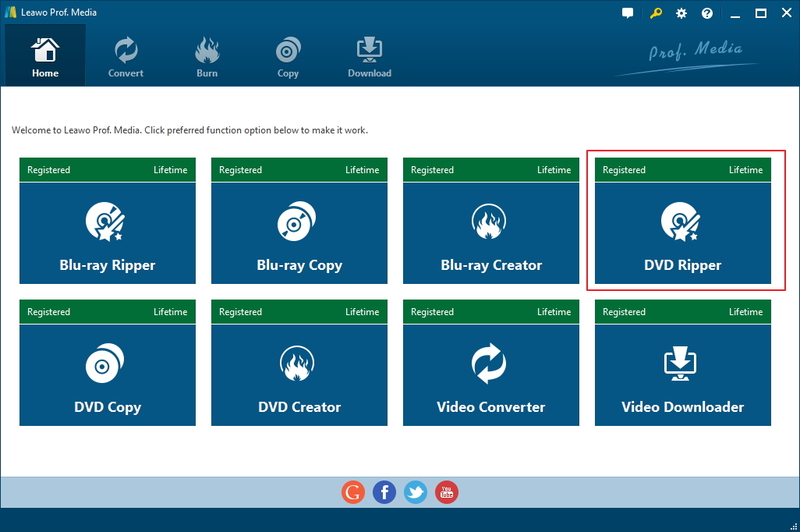 Here’s how to get Handbrake to rip protected DVDs and how to rip DVD to MP4 with Handbrake. To endow Handbrake with the ability to rip protected DVDs, you are going to need libdvdcss. Go search it online and download it to your computer after finding it. And here’s what you need to do with it. The file name is libdvdcss-2.dll. After having it on your computer, put it in Handbrake’s program folder(e.g. C:\Program Files\Handbrake) and then you are all set to rip protected DVD with Handbrake. Here’s how to rip DVD to MP4 with Handbrake. 1. Enter your DVD disc in your optical drive first and then launch Handbrake on your computer. 2. 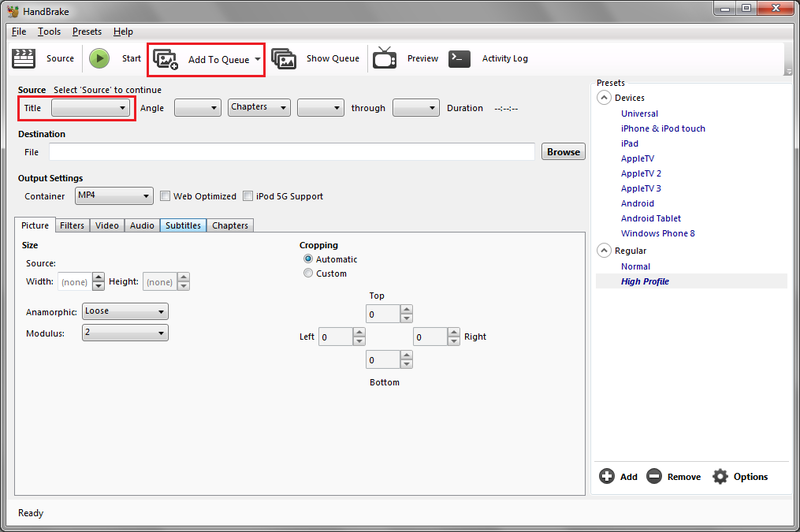 Click the Source button from the upper-left corner to call out a sidebar and then click on the option for importing content in the DVD disc. 3. After the data of the disc is imported, click Title and you can find all the video titles on the drop-down menu. Choose one title and then click the Add to Queue button to add the video to the queue for ripping. Note that there’s no such option for you to import all or multiple titles at the same time. So you will have to add the videos you need to the queue one by one. 4. Click the Browse button to set where to save the output MP4 videos. 5. 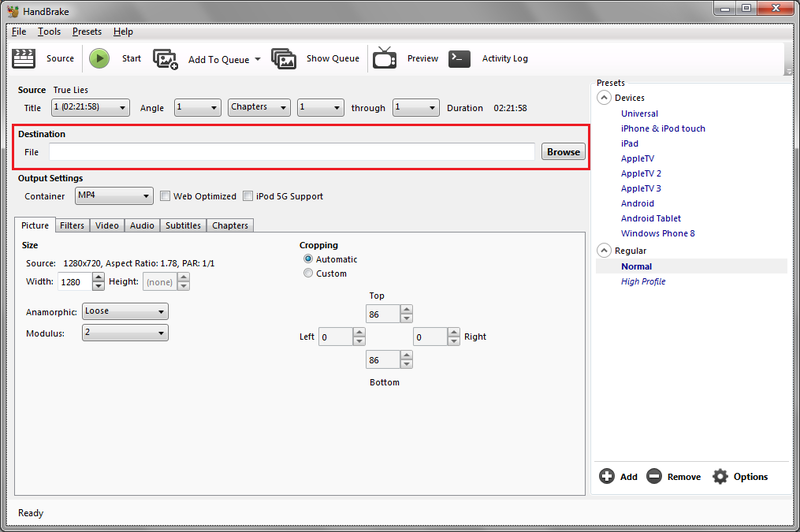 Choose a profile from the Presets list on the right side of Handbrake. Most of the preset profiles are for Apple devices but the output formats are usually MP4 which are playable on Android tablets as well. You can choose a profile and manually adjust the resolution of the video in the Output Settings section. 6. Click the Start button to start converting DVD to MP4 for your Android tablets. Handbrake is a good choice to convert DVD to Android tablet free if that’s what you are looking for. After having the DVD movies ripped to MP4, you can start to transfer them to your Android tablets for viewing immediately. On most Android devices, you should be able to directly play MP4 with the built-in video player app. But most pre-installed video player apps are very simple compared to some third party ones. If you want a more feature-packed video player to better enjoy the DVD movies, check out our recommendation of the top 3 video player apps for Android tablets below. 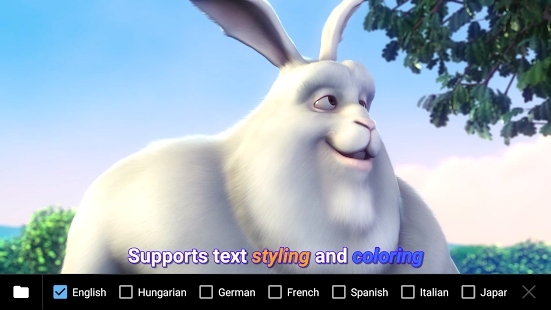 MX Player is one of the most famous video player apps for Android devices. It’s got so many powerful and useful features packed inside, it might make you want to get rid of the pre-installed player immediately. It supports several different swipe gestures like swiping up and down on the left to adjust the brightness and on the right to adjust the volume. You can use both software and hardware decoding for different video and audio formats. You are also allowed to change subtitles, switch between different aspect ratios and lock the player screen right on the main view screen. There are more tweaks hidden in the settings menu for you to find out. The only thing that’s dragging it down is its lack of support for DTS and AC3 due to licensing issues. You can find custom codecs online to solve this problem, though. 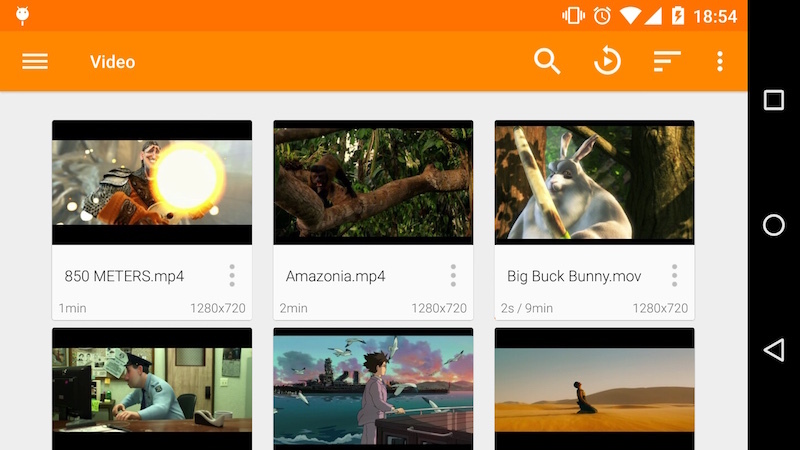 As a cross platform video player, VLC Media Player also has the Android variant for Android tablet users to play videos with it. It can play basically all the video and audio files you can possibly throw at it without needing the help from third-party codecs. Other than that, it also has the network streaming feature and supports some useful playback features like multiple audio tracks and subtitles. It also offers a simple way to organize your library which makes managing your media library and finding files in it much easier. 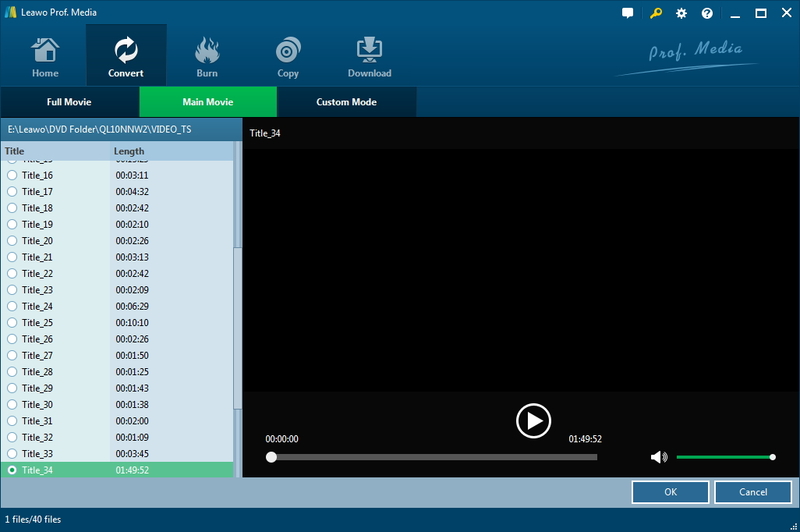 Just like its Windows counterpart, the KM Player for Android is able to play most of the video and audio files out of the box. During the playback, you are allowed to change subtitles, switch between different playback speed, adjust volume and brightness using different gestures. It can even play videos stored in Google Drive. All the 3 Android video players we recommend to you can do a great job playing the MP4 videos on your Android tablet. If you are not satisfied with what your pre-installed video player offers, go find yourself a nice third-party Android video player and enjoy movie in a more convenient and comfortable way.